So, you’ve decided to use the long Austin summer to remodel your kitchen, bathroom, basement, or maybe your entire home. You’ve researched DIY projects that pay off in the long run. You’ve decided on installing new floors and googled how to tear up your old flooring. 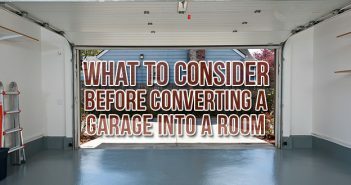 Or you’ve decided you want to put in new counter tops and change out your cabinetry. 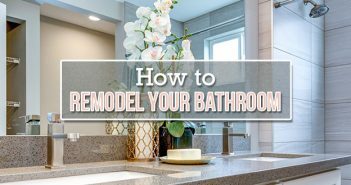 Or you know you want to put in a new bathroom sink and toilet and add more vanity space. Whatever projects you’ve chosen for your space, you’ve decided on a budget and considered that you might want to add a residential dumpster rental to your plans as an easy way to get rid of all the debris your remodel will generate. 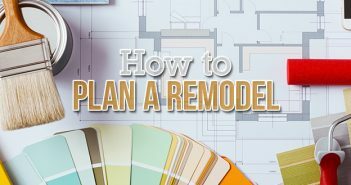 Now, you’re considering how you’ll furnish and decorate your newly remodeled home once the work is finished. The sleek, monochromatic modern look suits some people, but maybe you’re not one of them. Maybe you’re more inspired by the trends and tastes of the past. In that case, it’s time to ditch the chain stores and go antiquing. No matter what era’s style you crave, we’ve rounded up (in no particular order) the five best Austin antique stores for a vintage-inspired remodel. Rave On Vintage is a retro-colored wonderland of mid-century modern furnishings and decorative items. If you have TV Land tastes, Rave On’s broad selection of finds from the 50s and 60s is sure to net you the perfect pieces to compliment your vintage-inspired remodel. One walk through Rave On and you can tell the pieces were chosen by proprietors with a real passion, and eye for, mid-century modern trends. The store itself is even in keeping with this theme—operating out of a house built in the 1960s. Instead of converting the structure into a more traditional store layout, the space is still laid out like a home, with pieces displayed accordingly throughout. Serious fans of Austin antique stores will also appreciate the un-cluttered displays that ensures no treasures remain hidden. With fair prices, carefully selected pieces in excellent condition, and a call list for people looking for a specific type of item, Rave On Vintage is one of Austin’s premier stores for a mid-century modern remodel. Proudly located in the Lo-Burn IBIZ District, Gypsies Antiques is an unassuming store on Burnet Road. Don’t let the simple storefront fool you—Gypsies is home to Austin’s most luxurious collection of European antiques. From elegant furnishings, to exquisite art, to antique housewares, if you’re embarking on a European vintage-inspired remodel, this is the place for you. Owner Deborah Sierra scours markets in both the U.S. and Europe to bring home one-of-a-kind pieces. Gypsies is one of the most well-curated antique stores in Austin, offering a consistently fascinating collection of high-quality, authentic items. Before embarking on a buying trip, Gypsies will even take requests from customers, searching diligently across the globe for your dream piece. And if you decide you need some new old duds to feel truly at home in your newly appointed space, Gypsies Antiques is also home to one of Austin’s best vintage clothing boutiques. If you know you want to go vintage with your remodel but aren’t sure what era you’re drawn to, Amelia’s Retro-Vogue & Relics, is probably the best Austin antique store for discovering what trends most inspire you. With a selection spanning the mid-1800s to the early 1960s, Amelia’s offers visitors a unique and exhilarating slalom through American history. In terms of home furnishings, Amelia’s specializes in beautifully restored lamps, kitchenware, bar ware, china and glass from a wide array of eras. Located on S. 1st St., Amelia’s has long been a destination for fashion, theater, and film designers, and few other antique stores in Austin can boast the same sense of fun and energy you’ll find here. Even after you’ve gone home with the perfect pieces for your newly remodeled space, you can return to Amelia’s for the steampunk extravaganzas and vintage soirees they sometimes participate in or the yearly “Not SXSW” music festival, held on Amelia’s property and showcasing up and coming local acts. Whatever your vintage décor needs, Amelia’s Retro-Vogue & Relics has you covered. And then some. Catherine’s Antiques is the perfect place for anyone who loves a treasure hunt. 4,500 square feet of store space is bursting at the seams with fantastically unexpected finds. Don’t let the sheer volume of fabulousness fool you, though. This isn’t some thrown-together free for all. Catherine’s inventory is painstakingly curated to present customers only with the most intriguing pieces in the best condition. Here you’ll find beautiful furniture, inspiring housewares, and stunning ceramics, china and crystal. And if seeing these pieces in your newly remodeled home makes you feel like you need to upgrade yourself, too, Catherine’s also boasts an incredible selection of jewelry to fit any taste. Owner Catherine Moller Solomon has a historian’s eye for pieces that tell a story. She does her best to study every piece she puts on display, finding out as much about its journey as possible. Her store emphasizes one-of-a-kind handmade items that allow visitors to feel a true connection to the people who originally made and enjoyed them. If you’re looking for items that come with a heaping helping of history and heart, you can’t go wrong with Catherine’s Antiques. Prima Forme’s bright, airy show space is a mid-century modern oasis of furnishings and décor for virtually any room in the house. Clean lines and simple functionality rule the day, represented by exciting pieces in excellent condition. Prima Forme specializes in American and Scandinavian furnishings from the 50s, 60s, and 70s, and prides itself on the many rare finds it offers customers. The store boasts a particularly impressive collection of hardwood tables, credenzas, storage pieces, side tables and chairs in walnut, rosewood, mahogany, teak and more that are not only visually show-stopping but durable enough to last generations. Because the owners travel constantly to track down the best quality pieces, as well as the rare items that have become their signature, the store is open by appointment only. However, a Prima Forme Etsy store allows customers to browse and purchase pieces from home at any time. Aside from furnishings, you’ll also find eye-catching lamps, artwork, and other wow-worthy decorative items. If you love mid-century modern aesthetics and crave rare finds you can brag to all your friends about, Prima Forme is the Austin antique store for you. Did we miss one of your favorite Austin antique stores? Tell us all about it in the comments!